The world is now coated with a digital layer and if you are left untouched, then your future will certainly be hazy. According to a study by comScore, 80% of the mobile phone users population have already shifted to smartphones. 2 years on, not only the smartphone user base has grown but the high-speed internet connectivity has grown its reach and that too without adding load on the budget. Leading tech pundits have already announced, 2018 as a year of digital transformation which would be focused on providing quality customer experience. This year would revolve around, smartphone, internet & customer experience. The popularity of smartphones ensured that customer-business interaction relies heavily on the phone calls, which eventually relies heavily on IVR to deliver quality customer experience (CX). Talking particularly about voice communication, IVR is can be used as a synonym for CX. IT has stepped the game up of CX methods, by surpassing all the drawbacks of traditional ways and providing customers with more flexible ways of reporting their complaints by saving their traveling time. 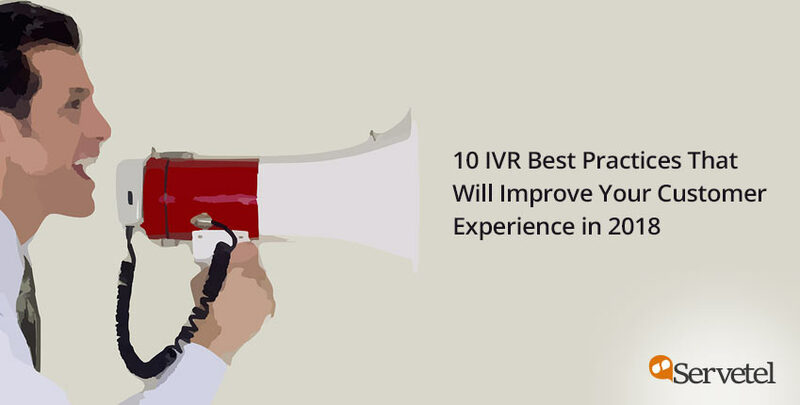 However, IVR too had its share of customer criticisms for various reasons, such as – lengthy call waiting time, confusing menu options or delay in connecting with the agent. These criticisms have made Cloud Telephony service providers pro-active. To smoothen IVR services, a lot has already been done, and a lot has been stacked in line. At the same time, a lot depends on the deployment of IVR because of unique functionalities of every business. Let’s go through some of the best practices to pioneer customer experience in 2018. We have categorized these best practices for you in two sections depending upon the level of urgency. In the haste to provide all the services through IVR, one common mistake committed by all the service providers is handing more than 4 menu options to customers, which snags you down. Customers are not interested to know about your services, they have approached you to find the solution to their problem. Any delay in leading them to the solution creates a disappointed customer. Many times, customers get stuck in the incessant options provided by IVRs. This puzzling feeling leaves customers with only one choice, to drop call midway, leaving a negative imprint of the brand on their mind. Adding an option to directly connect with “Live Agent” on every layer of calling menu, is the ultimate elixir an IVR company can provide to their customers. It goes on adding a simple option of “To directly connect with our agent, Press “ * ”. 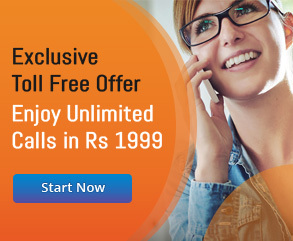 It prevents customers from being lost in the series of IVR options. The most disappointing attribute of IVR is the long waiting time encountered while transferring calls between the departments. Majority of customers gets anxious if waiting time exceeds a minute. This trouble can be easily resolved if your IVR service provider has a well-designed routing with a fast connection. The next thing which is largely dependent on you is the availability of the agents. If you have limited staff to handle, then hire more staff because losing customers is one thing you cannot afford. Customers are already very anxious while connecting on IVR and abruptly ending their calls only makes their furiousness increase. 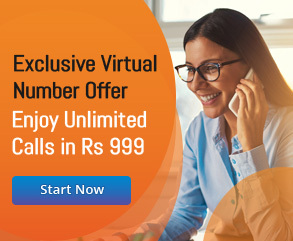 Selecting the wrong option while using an IVR is a common mistake all the users do, but disconnecting their calls for this mistake, is a blunder which many of the call centers commit. Agents have a series of questions to ask while authenticating customers on the call. Customers cooperate till the time they are aware of the legitimacy of the process. But asking too many details may annoy them which reflects the carelessness of the company in keeping their customer’s call or complain history. Keep a record of the customer’s call and previous inquiries or complaints with the details of the latest conversation as comments. This step will enhance your customer handling and streamline you with customer’s expectations beforehand. If your company is present nationwide, then catering to every customer from all the corners of the nation should be one of your priorities. Offering only 2 languages’ may restrict some customers to approach you, hence they might shift to a company where they will be better understood. Add an additional option in languages by identifying the state from which callers are approaching and offer them this additional language in the IVR. Ask your IVR provider to give you a translation of the messages in all the possible languages. This step will surely assure your presence acknowledged in the world of customer satisfaction. While approaching IVR, customers are already in a rush to get their queries solved. They already need to go through many layers to get their query across. Now burdening them with your branding voice message, would only amplify their annoyance. Adding a branding statement wastes the customers time. A brand which doesn’t respect customer’s time will eventually not be admired for customer’s satisfaction. Keep your introductory message short and simple. If you want to use this opportunity to gain their trust, you can let them know of any new plan or policy rather than repeating your brand tagline. Press 1, For New Product Inquires. Till the time, Customer hears “Maintenance Inquiries”, he has missed the Action Item (Press 2). Which eventually leads him to scroll again through the menu, wasting their time. A simple tweak in the message can save you many customers. Put Action after the Option, so when the customers hear the word “Maintenance”, their wandering mind comes back to IVR and instantly the next thing they hear is “Press 2”. This saves customer’s time and adds a delighted customer in your bucket. Speaking too fast or too slow or speaking in an accent not understood by your target audience is a recurring mistake done by most companies. If your recorded IVR is something not many customers could understand, then all your money and efforts to smoothen your customer experience are sure to go in vain. Firstly, while recording your IVR voices, make sure it resonates with your company’s brand image. Secondly, your recorded message should not be too loud or low, too fast or slow. Maintaining a balance between all these aspects is a key to keeping your customers engaged with your IVR. An oral confirmation is not enough for a customer to trust your company promises. Customers might become a bit sceptic when a written confirmation is not received from company’s end. Send a written confirmation of your discussion in form of SMS or an E-mail. This assures the customers that their query is being worked upon. And calms them down to wait for their query resolution eliminating any uncertainties. Did we miss something on this best practices list? We’d love to hear from you! And if you have any questions or want to know more about IVR design and implementation, feel free to contact us.